Our everyday lives can be compared to a revolving door – we go round and round, propelled by emotions of glee and disappointment, our surroundings becoming a distorted blur as we go through our daily routine. While we can sustain comfort in this kind of lifestyle, what happens when our revolving door stops? Do we push on as if nothing happened? Or become overwhelmed with how we are going to move forward? This Midwest gal likes to get wild and dirty. 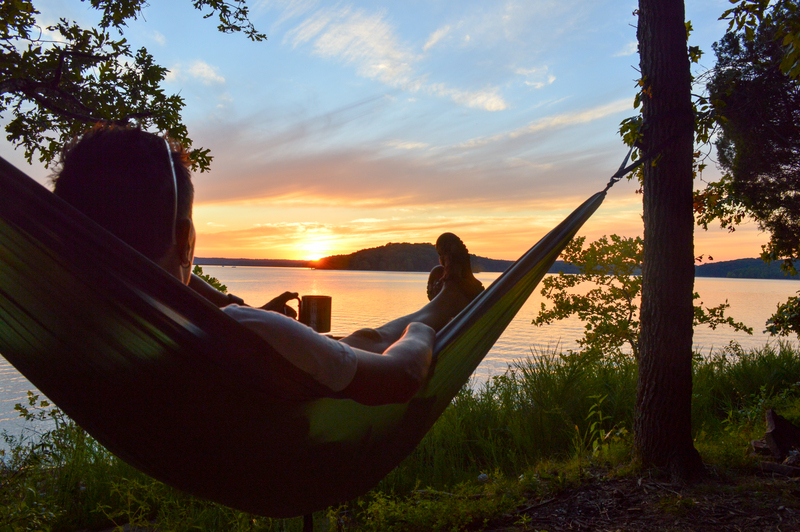 I used to get a little ticked when people would ask, “you have an adventure company in Indiana, (literally laughing to themselves) what do you do, and where do you go?” Once someone actually told me, “to do anything adventurous in Indiana you need to get on a plane and fly somewhere else.” I now have found that when responding to these people I begin to show them photos on my phone, and talk about trips we have led in Indiana, and they slowly begin to see what they have been missing. I’ve had a lot of friends move to the coasts, the mountains, to warmer destinations, and don’t get me wrong I LOVE the ocean and I LOVE the mountains. I also know that everyone can’t live in the mountains or on the beach, and even if you don’t live in a place that’s already considered “adventurous” that doesn’t mean that adventure isn’t out there! Some of my favorite adventures are the ones that occurred by mistake, or ones that you have to really work hard to get to, but that make it all worth it in the end. There’s a saying, “The grass is always greener on the other side” but what about the side I am on, why can’t the grass be green here? 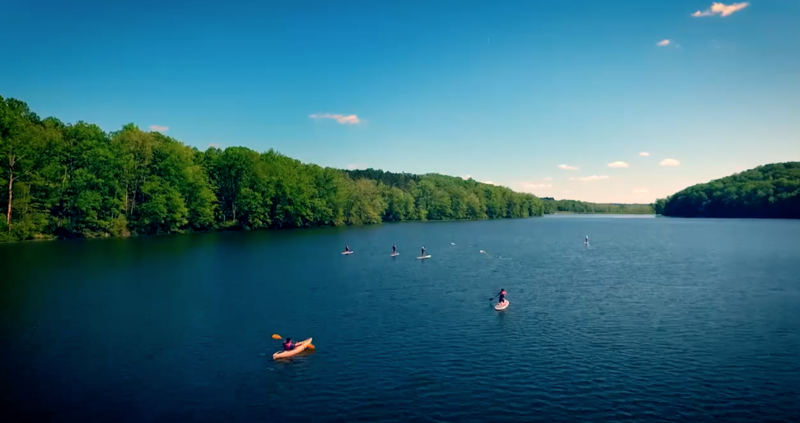 I made it my mission to educate and connect humans to the outdoors, to get them to try something for the first time, and experience adventure in places they never knew existed. So, here are 8 reasons why you don’t have to live in Colorado or California, or Arizona, or anywhere else that isn’t where you are to be adventurous. Take a road trip instead of flying to your next destination, you’ll be surprised what you find along the way. 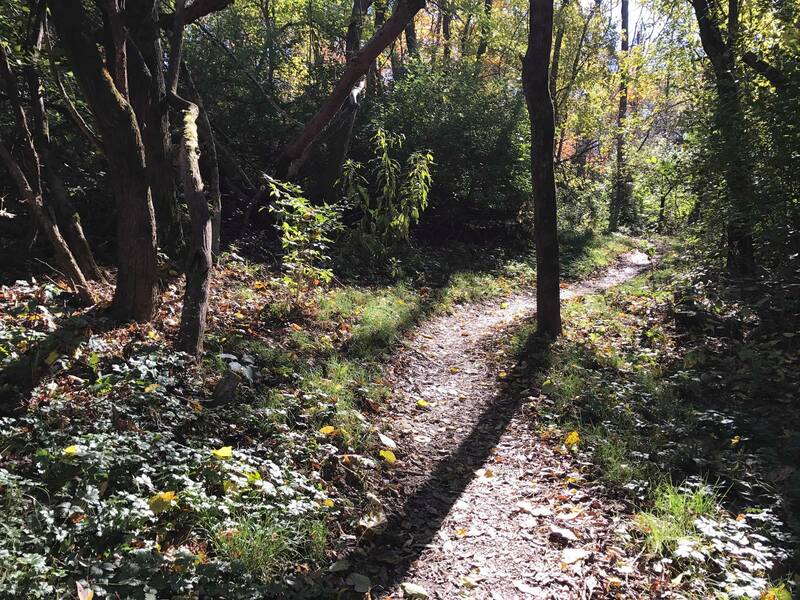 Explore a new trail in the parks around or in your city. If you are in an urban area, commute to work or try commuting to your favorite neighborhood restaurant. Walk silently, by yourself, in a new place, and without your phone, you will see far more than usual. If you usually run, take a walk, if you usually walk, go for a run, if you ride your bike, take a walk, or run etc. Switch it up, and change your perspective. Find an adventure meetup or group in your local community, do something different with new people. There you go, you have 8 reasons that adventure is out there. Now it’s up to you to take the next step. Go outside, explore, and let your life become your greatest adventure. Let us know what you did or plan to do to find your next adventure in 2017, happy trails! March Adventure Madness in 2017! 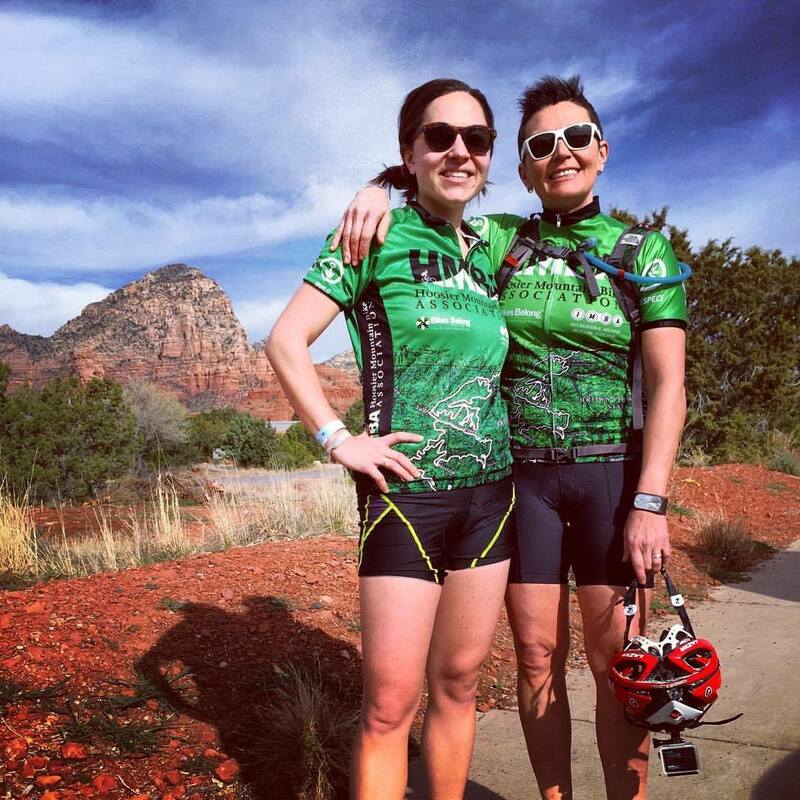 Certified Professional Mountain Bike Instructors (PMBIA) Danielle and Kate Nolan through the will be leading free guided rides and mini clinics at the Sedona Mountain Bike Festival for Trek Bicycle. 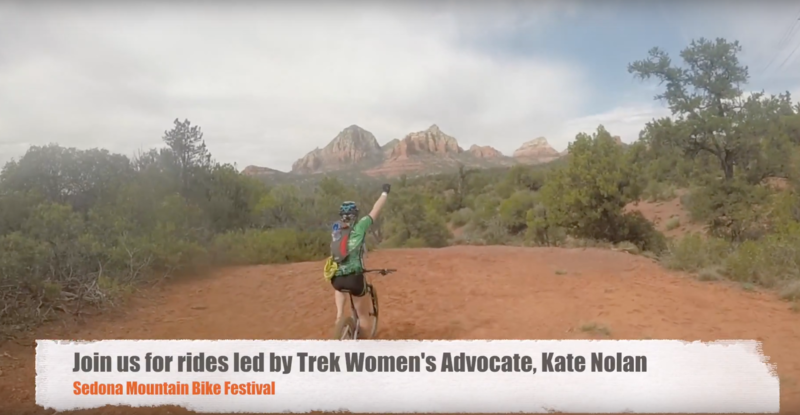 This is the first year Trek Bicycle will be offering free rides and mini clinics from at the Sedona Mountain Bike Festival, join Trek Women’s Advocates Kate Nolan and Erin Wells for an awesome ride in the red rocks! Sign up for the festival here! We hope to see you there in 2017! 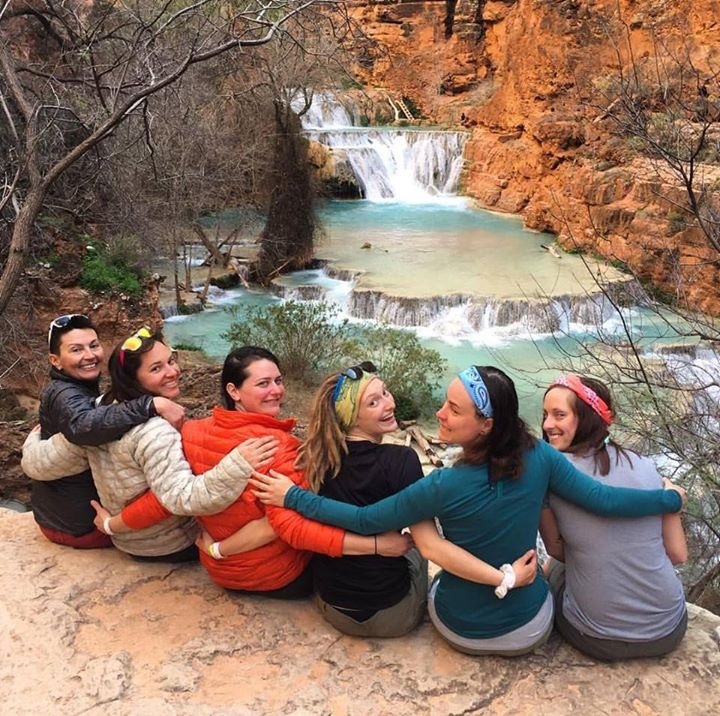 Hiking the Havasupai trail is a truly unique and memorable adventure to experience. The Havasupai Indians are the longest residents of the Grand Canyon, living there for at least 800 years. Havasuapi means people of the blue-green water, when we reach the falls in the canyon you will see how the Native Americans received this name as the breathtaking water falls will fill your soul. Read the itinerary here to learn more about this epic adventure to the sacred lands of the Grand Canyon. What an exciting year it’s been! My heart is full of gratitude. Earlier this year, my wife, Danielle and I put together an amazing contest for women, the DNK Presents Women’s Adventure Contest. 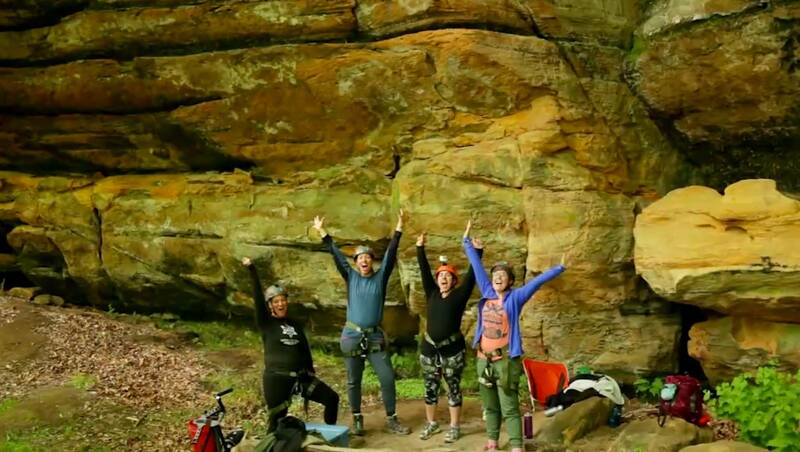 Four women were selected from out of 60 nominations and were taken on an epic four day adventure. A big thank you is owed to Trek Bikes and The Bike Line Indianapolis, who were excited to support this adventure. Their sponsorships made sure our winners had great bikes. Trek Lush full suspension to be exact, and Bontrager mountain bike kits and helmets. An outpouring of support came from many local companies, like Rusted Moon Outfitters, Big Woods Brewery, Central Restaurant Products, Enviro-Max, and Upland Brewing, just to name a few, along with big name, Athleta; our winners were outfitted with great gear. 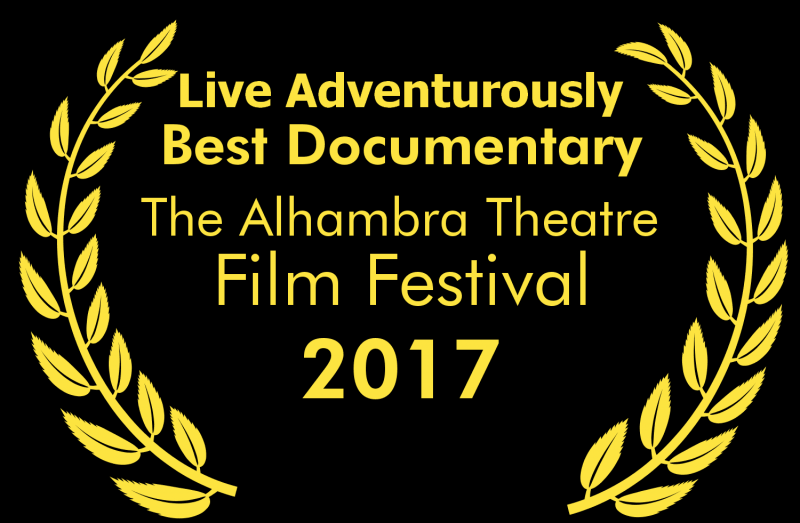 We filmed the adventure, sharing our winners’ stories through a documentary, Live Adventurously. Shortly after the contest, I found out I was nominated to be a Trek Women’s Advocate by Charlie Revard of The Bike Line and Colin Kuchy of Trek Bicycles. What an amazing honor! I cried when Charlie told me, remembering my first mountain bike, a Trek 920. That bike gave me a new sense of freedom and of self. It came at a time when I was overcoming the loss of my mother to breast cancer. It opened up a community of great people, fun races and awesome social events. It gave me new adventures, new opportunities and hope. Then, I discovered I had to apply and that they were only going to select 55 women, so I crossed all my fingers and toes and sat down to complete the application. When Amanda called from Trek, I was so excited and so nervous, I think I called her Amber. Lucky for me, she laughed it off and I was still selected as one of the 55 Trek Women’s Advocates out of over 250 applicants. Of course, I cried again; what a complete honor to be a member of the Trek team. 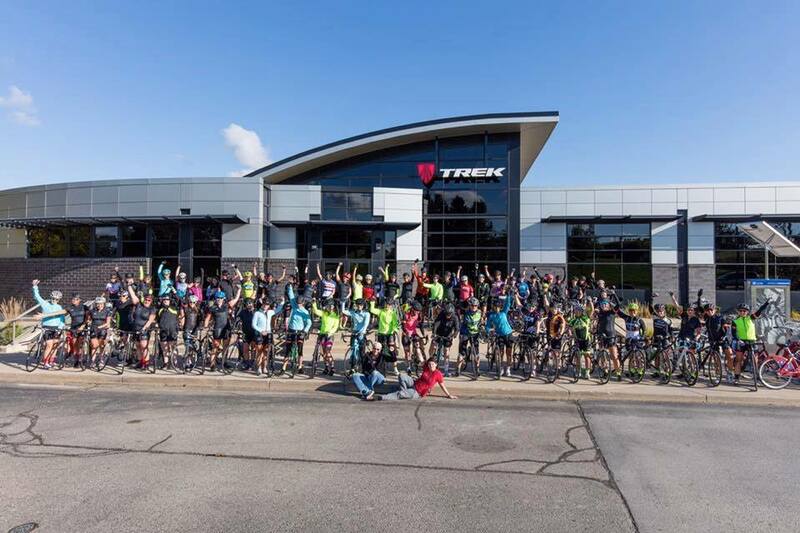 We were all invited to Trek Headquarters in Waterloo, for the Trek Women’s Summit. No big deal, only press from 7 countries, dinner at John Burke’s home and drinks, dinner and riding with Gary Fisher, the founder of the modern day mountain bike and mountain biking pioneer. I don’t think there was a moment that I wasn’t smiling. Seriously, smiling in my sleep, I am sure of it. Trek selected and brought together some of the most amazing women I have ever met… Candace Shadley – founder of the Trek Dirt Series and all around badass, Sally Marchand Collins – fellow Hoosier and a personal inspiration and mentor, and so many others like fellow mountain bike instructors and guides, Erin Blackiston Wells from Muddy Pedals in Baltimore and Dee Turner – PMBIA Instructor and guide in Alberta, Canada. Amanda Schulze, Trek Women’s Business Manager, put together an amazing week which made us all feel like part of the Trek family from the moment we arrived: Special gift bags filled with the latest from Bontrager, the cocktail reception with Gary Fisher and being greeted by John Burke in the entrance of his home. I felt like part of something so much greater. Before dinner, John addressed us from the top of his coffee table and discussed how important it is to do the right thing and he’s made that his commitment and the Trek commitment – even when it’s not the most economically expedient path. Trek has lead the way in the bike industry and knows that women want a competitive edge, as well as a bike that looks good, fits and performs. Look at what they’ve done for women’s mountain bike racing and developing role models, like Trek racers Rachel Atherton, Emily Batty and Katie Compton. I’m so honored, proud and thankful to be part of Trek’s first ever women’s advocate program. My plan for 2016-2017 is to build a women’s biking community in Indianapolis. I’m going to have monthly rides the first Tuesday of each month as well as four clinics and of course one big event. We’ve already kicked things off with a Trek Women’s Ride at the Brown County Epic, a Trek Women’s Halloween Ride on Nebo Trail in Story, Indiana and Trek Women’s Night Ride at Fort Harrison State Park. Please check out my upcoming events and join me for some of these rad events and rides. Perseverance: steadfastness in doing something despite difficulty or delay in achieving success. What does it mean to persevere to you? To me this word, like many other words, means something unique to each individual. 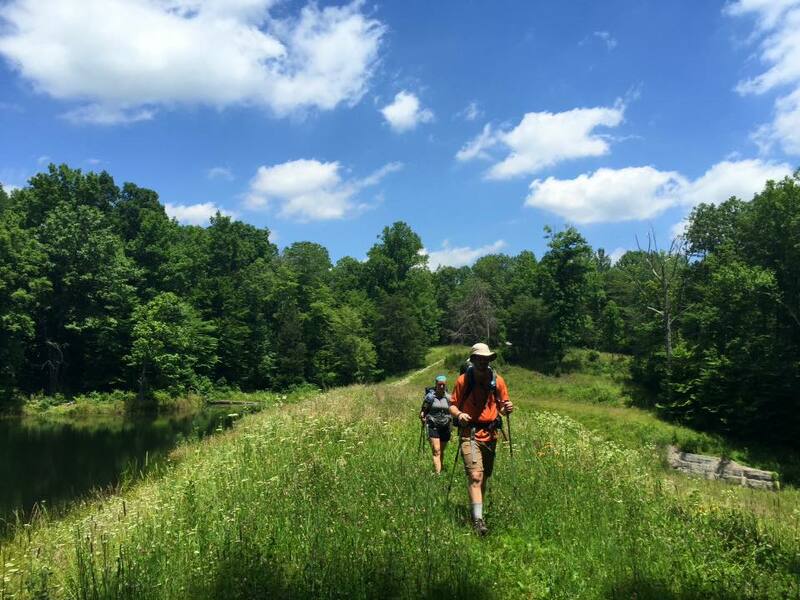 There are countless outdoor activities that aid us in learning how to push forward and stay dedicated to what we are a part of. 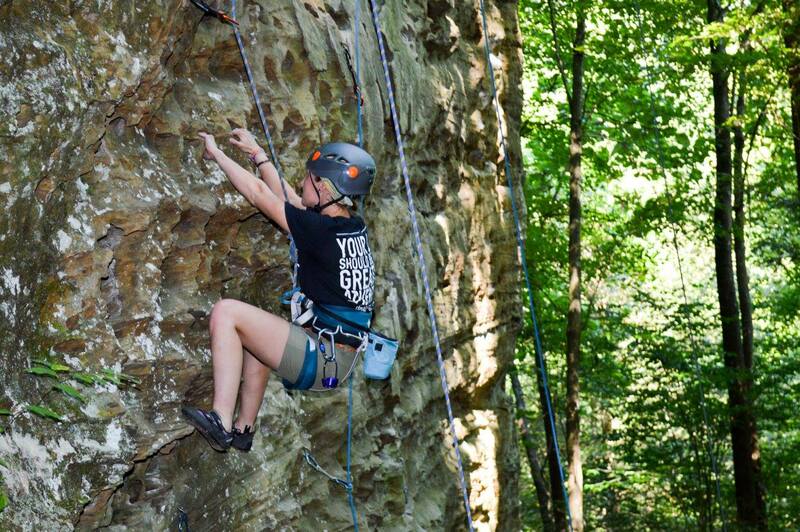 One of the major outdoor recreation activities that does this for me is rock climbing. Each time I step up to to the wall, I peer up to the 50-foot beast, envisioning myself reaching the anchor bolts at the top of the route. As I observe the path ahead of me, I imagine how I would maneuver my body to reach the top. Before I even get on the wall, I tell myself, “You can do this.” Now, I would not say that this kind of visualization is all you need to achieve your goals but using visualization as your foundation does help you to see that success for yourself and make you recognize your own potential before you even begin your journey. The minute I place my hands and feet on the rock formation, I go from visualizing to doing. While the beginning of the route may seem to be going as planned, I approach the crux of the route. This is the most difficult part of the trek up the wall. When you approach this specific challenge, you never know how things might play out. Some routes have multiple hurdles that can surprise you, making you pause and reevaluate what move to make next. When I arrive to my toughest obstacle of the route, I ask for my partner to give me a take, simply allowing me to sit back into my harness and truly assess the situation I am in. How did I not see this at the bottom? Why is this so challenging? Don’t I know how to get through this? These kinds of questions race through my mind as I ponder my path. Some may tell their belayer to lower them after several failed attempts but my stubbornness makes me just want to tackle it even more. For me, and so many others, there is no surrendering to the crux. Often times you can feel the intensity of the route as people yell and even swear their way up to the top. With every inch of my muscles burning with pain and self doubt creeping into my mind, I remember what I told myself when I began this journey, “You can do this.” Suddenly a rush of determination comes over my body. Some how, some way, I forget about the pain I am in and it aids me in clearly seeing holds that enable me to get past the crux. As I look up at the remaining 20-foot I have left, I remember what I just accomplished and trust that I can do what lies ahead of me. The sweat on my back and the blisters on my hands remind me of what I’ve achieved thus far. Just as I envisioned before the climb, my right hand finally reaches that bolt, slapping it with nothing but pure joy and relief. As I peer down to my belayer, I see where I once was and see where I am now. All of the challenges along the way were worth it because it made me stronger as a climber and made me truly fight for the success I achieved. Each of us has our own route in life and we have the freedom to choose that route for ourselves. Almost every day we are faced with challenges and obstacles that could potentially delay our overall success. While it is easy to envision our success in the long view, all of us have learned that going from point A to point B is not always a linear process, but rather a zigzagging path full of twists and turns. When you reach the crux of your life’s journey, do not allow it to defeat you and your inner strength. You can do this. Never forget the place you started from and remember that you are stronger and wiser with each challenge you get through.